Next month, I will start my first sabbatical. 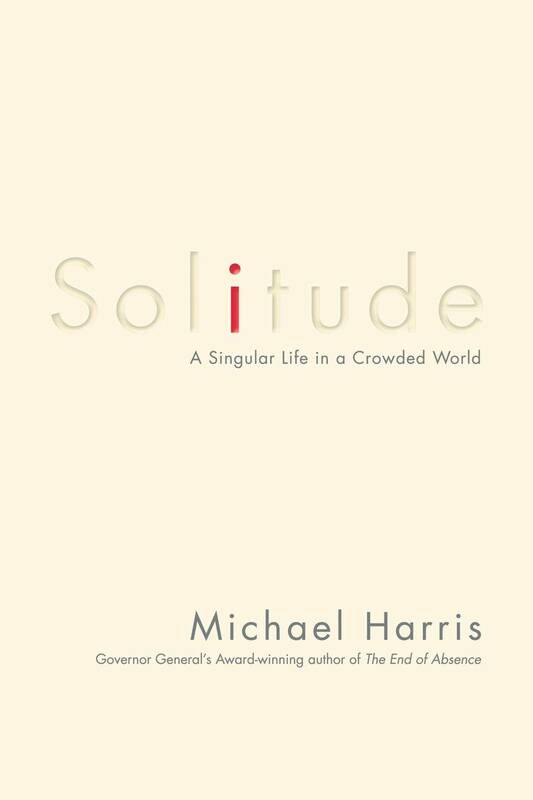 To prepare, I just finished reading Michael Harris’s new book, Solitude: A Singular Life in a Crowded World. The book came out in late April just as my teaching semester wrapped up. The timing couldn’t be better. As with much of the work life of an academic, sabbaticals are a tremendous privilege. They are also enormous opportunities and critical for sustaining scholarship and knowledge production. Ostensibly, they offer time to focus on research without simultaneously balancing teaching and administrative responsibilities. And as a result, they can be used as time to be alone. As a historian interested in public engagement, particularly through online publishing (blogging, podcasting, social networking), the issue of time alone may be a challenge. Is there a place for solitude in active history? After reading Solitude, I’d say yes. Harris’s book is an extended defence of time away. Solitude is different from loneliness. It isn’t the absence of the company of others. It describes the company of oneself. As Harris writes, it is “a place we can only ever know on our own.” And it is productive and valuable. Engendering new ideas. This is an argument most historians would find hard to dispute. While historians gather once or twice a year for annual meetings and conferences to share ideas and arguments, most of our work is done alone. Creative thought, originality, those “Eureka” moments happen when our minds have time to wander. Input from colleagues, reviewers, and public audiences are certainly important, but time away helps us to process that feedback, think about evidence, and find new connections. Knowledge of the self. “The naked self, then, is a bogeyman,” writes Harris. While some scholars lean toward excluding the self from their work in an attempt to retain objectivity, critical self-reflection may be beneficial for historical scholarship. What draws us to the subjects we study? How do our own personalities and identities influence the way we read historical evidence? More historians are starting to think critically about their role in scholarly interpretation, situating themselves directly in their own writing and resisting the objective voice. One example that comes to mind is Stacey Zembrzycki’s According to Baba: A Collaborative Oral History of Sudbury’s Ukrainian Community. Bonding with others. Paradoxically, Harris shows the ways in which time away can help forge stronger bonds with others. What can this offer to historians? As he argues, “social disengagement does not preclude other types of engagement.” Conferences, workshops, and symposia are not the primary ways that historians engage with one another. The primary form of scholarly engagement for historians is reading… alone. I remember when I was preparing for my comprehensive exams as a PhD student. Craig Heron, our course director for the Canadian history graduate seminar, told us that this would be one of the few times in our lives that we would be asked to go off and read widely in Canadian history. He was right. During that summer semester, I sat and read the work of numerous historians, poured over their ideas and arguments, and considered how I might, one day, contribute to that body of scholarship. There were days when I wouldn’t leave my apartment and I spoke to no one else for hours upon hours. And yet it was one of the richest experiences of scholarly engagement of my life. In some ways, I learned more about the work of other historians preparing for those exams than I have at any one conference. Solitude has given me some ways to think about how I might spend this time away. If used well, I may return more engaged with new ideas and fresh thoughts on active history. Fingers crossed. Sean Kheraj is an associate professor of Canadian and environmental history at York University. He is also the director of the Network in Canadian History and Environment. He blogs at http://seankheraj.com.